Contact Us: 936-294-1614 or 1-866-NGL-INFO (645-4636). For more information (address, email, etc.) click here. Fri, Apr 19: ProQuest Ebook Central (EBL) will be down for maintenance on Saturday April 20 at 11am - 1pm. Find books, articles, films, and MORE in the catalog and selected databases. What is Engine Orange and how do I use it? Search for books and more in the library catalog. -- Search articles, documents, books, etc. (includes legal opinions & journals). Link to full text if owned by SHSU (“Online Resources @ SHSU”). 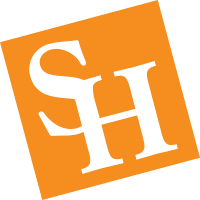 Link your Google account to SHSU, so the “Online Resources @ SHSU” links will always appear – even if you don’t start your search from this page. Go to our customized settings screen, click the checkbox, and click Save. If you’re logged into a Google account, it will remember that setting from now on. These helpful multimedia guides will connect you to the best sources for starting research in your subject area -- whether it's Biology, the American Civil War, or Graphic Novels.